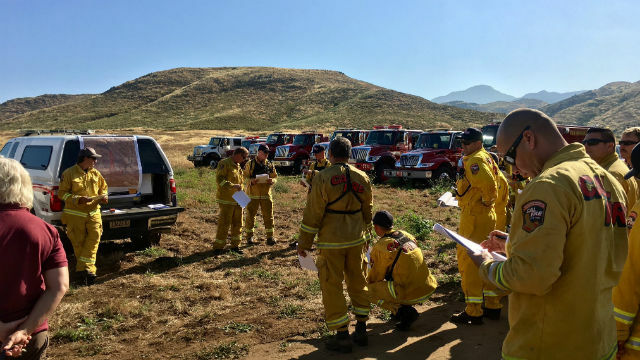 As part of their ongoing efforts to reduce wildfire hazards in the eastern San Diego County highlands, firefighters this week will set a controlled burn that will clear 126 brushy acres near the junction of state Route 76 and SR-79, Cal Fire announced Monday. The prescribed fire in the Morettis Junction area of Santa Ysabel, southeast of Lake Henshaw, is scheduled to begin at 9 a.m. Wednesday, according to the state agency. Smoke is expected to be visible throughout the day in various rural East County communities, including Julian, Palomar Mountain and Warner Springs.